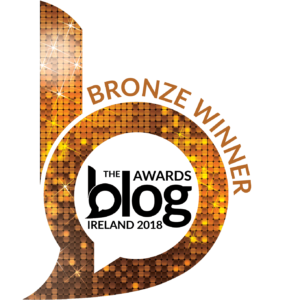 In case you hadn’t noticed – because I never talk about it, ahem – I love this little island I call home and will rave about it to anyone who will listen! 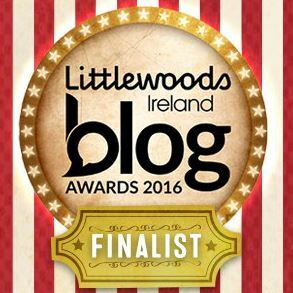 In December last year, I wrote a post about my favourite places in Ireland from 2015. 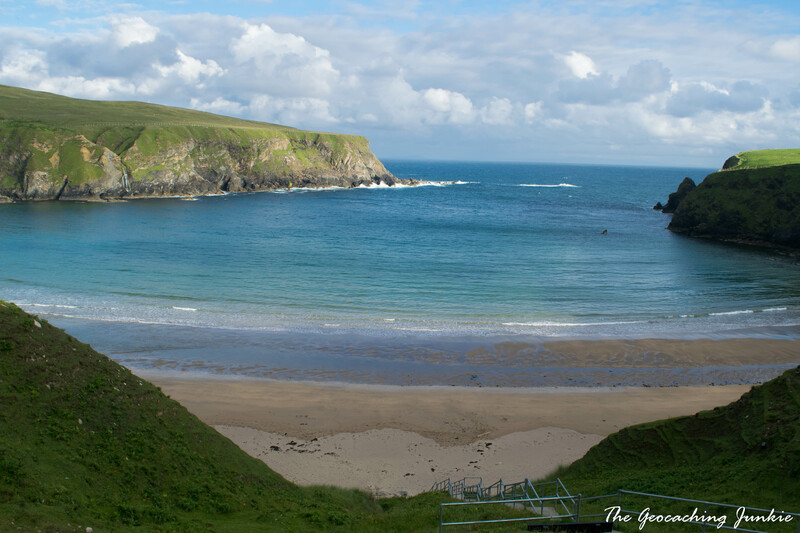 This year, I added some more gems to my list of reasons you should visit Ireland in 2017. Here are my absolute favourites! 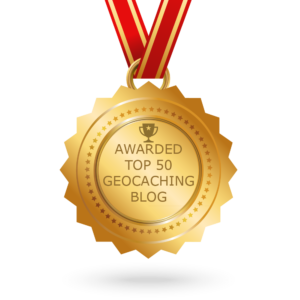 In the summer, I hosted my second annual Groundhog Independence Day geocaching event – a trip to one of the hundreds of islands off the coast of Ireland, the weekend after the 4th July. 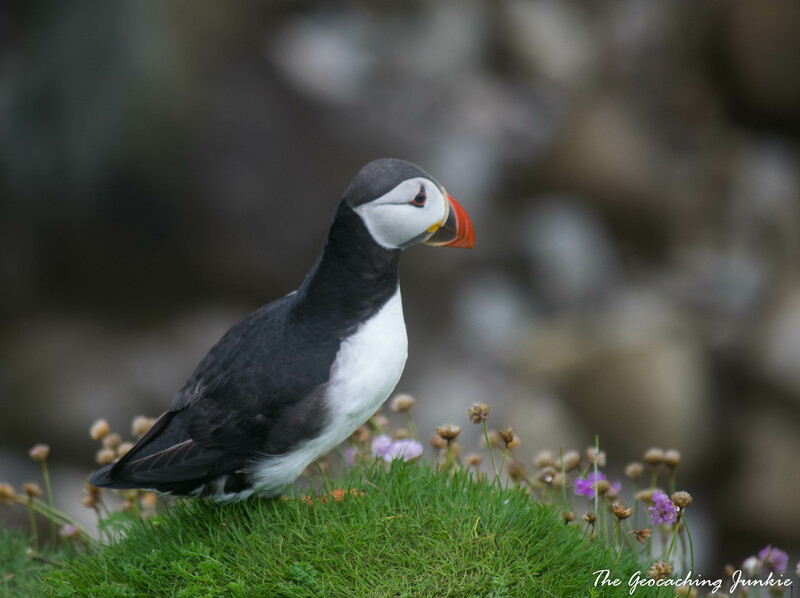 This year, I had my sights firmly set on the Saltee Islands in County Wexford, as I wanted to tick off a bucket list item: seeing wild puffins up close. 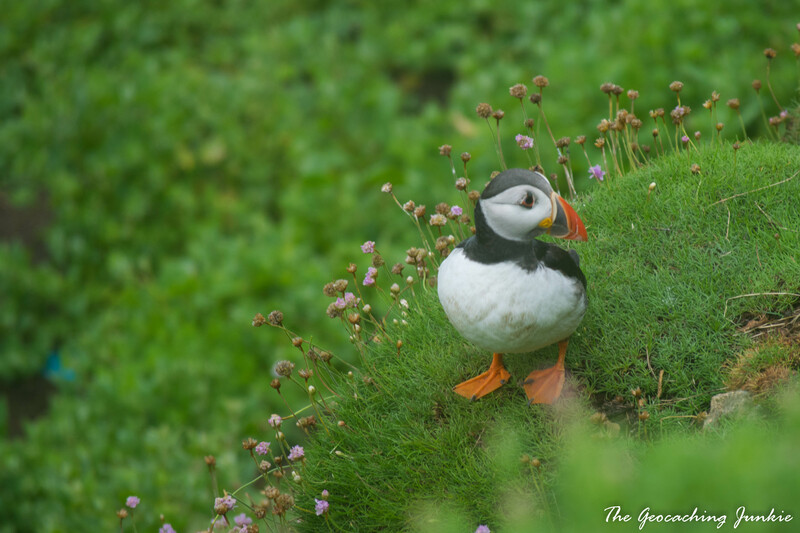 Although we were unsure if we’d make it over to the island due to stormy weather, the boatman was much more optimistic and he soon deposited us on to the landing beach on Great Saltee Island, where we embarked on a puffin hunt! 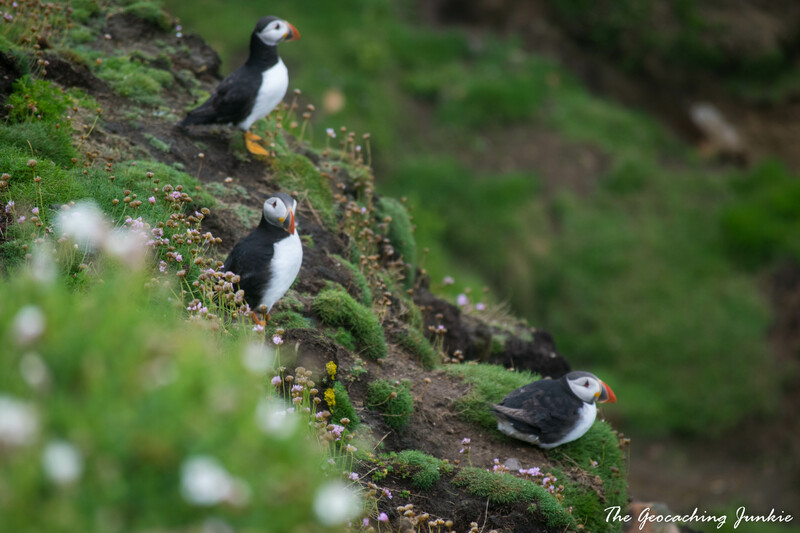 The experience of seeing puffins and being able to photograph them was one of my travel highlights of the year; how amazing to think that it was practically on my doorstep. 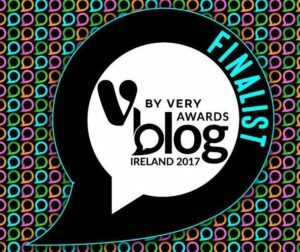 I will definitely be revisiting in 2017, though the event will move on to another island – I just have to decide which one! Donegal is cool. The coolest place on the planet, in fact. The forgotten county topped National Geographic’s 2017 Cool List so it’s basically official now. Less to do with the generally chilly weather experienced there, the Cool List features places that NatGeo’s writers predict will be popular next year. 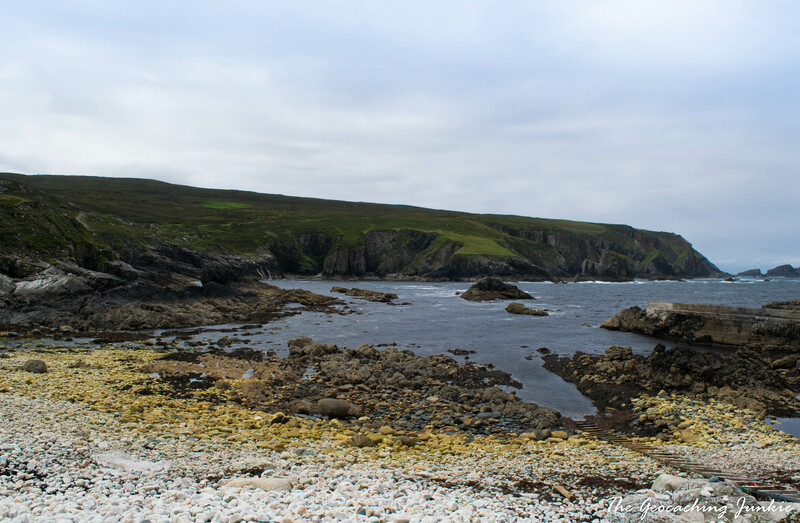 From Ireland’s most northerly point at Malin Head (on next year’s bucket list!) to surfer’s paradise of Bundoran, the county has a wide variety of landscapes to enjoy. From the white sand of Silver Strand beach at Malin Beg to the dramatic cliffs at Slieve League, you will not be short of some serious travel-envy inducing photo ops. 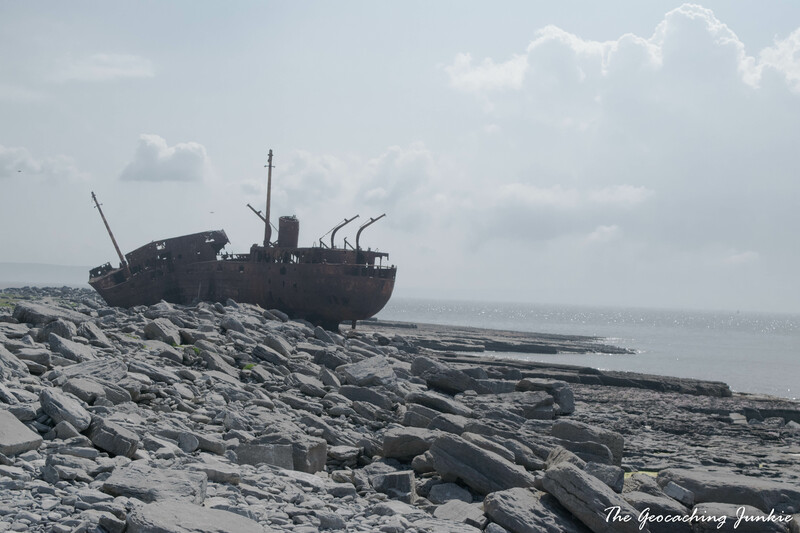 My favourite part of our trip was the ghost village of An Port, unlike any place I’ve ever visited. Sitting at the very edge of Europe, there are signs warning visitors to report any suspicious activity to Customs & Excise authorities, though it’s hard to believe any smugglers would find it easy to moor in between the tireless waves of the North Atlantic. The smallest of the three Aran Islands, we visited Inis Oírr while we were in County Clare and I was completing my Ireland County Challenge. Our host at the B&B we were staying at was a bit baffled why we were going to Inis Oírr and not the bigger and more popular Inis Mór, but I was all determined to see the shipwreck that features in the opening credits of Father Ted so Inis Oírr it had to be! We didn’t regret our decision to visit the little island at all. 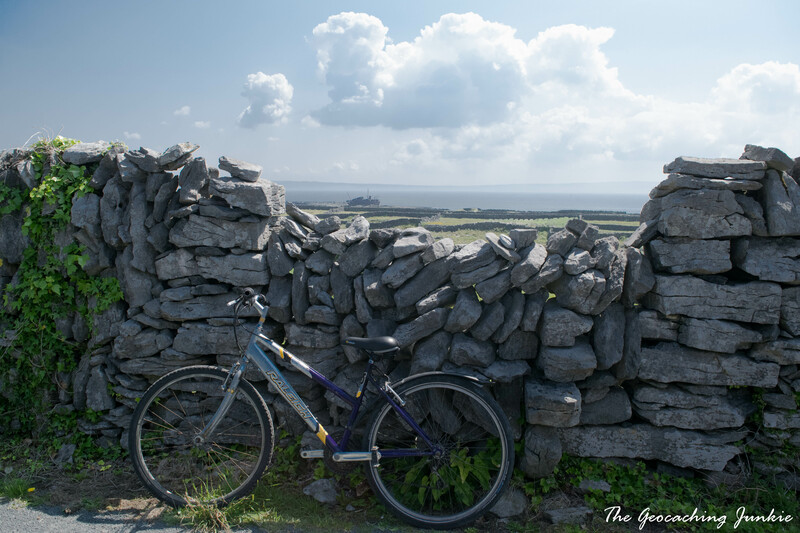 We hired bikes and took in the sights: navigating around the fabulous maze of dry stone walls, marvelling at ammonite fossils on the shore and exploring the MV Plassy shipwreck. The beach looks like it was taken out of a travel brochure for the Med: it’s all golden sand and clear turquoise waters. 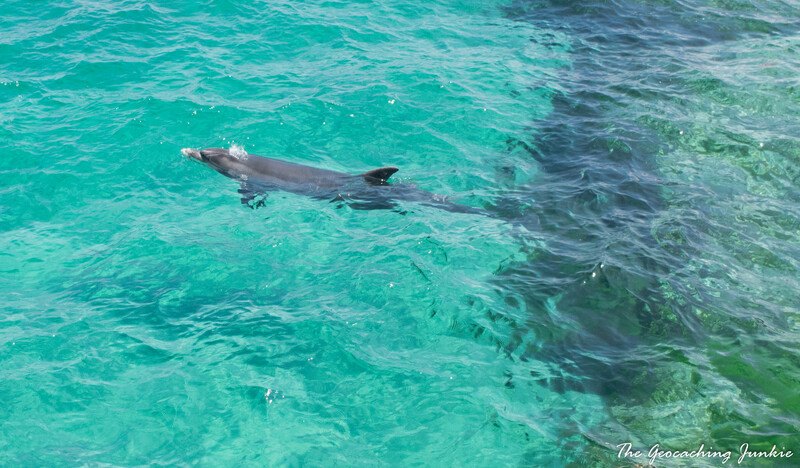 We were even visited by a friendly dolphin as we stood waiting for our boat back to the mainland. 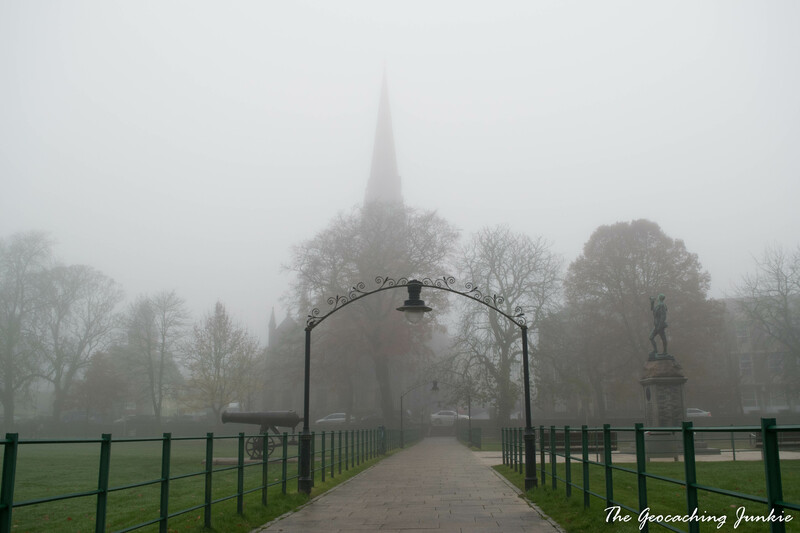 Although it may not have been a perfect-weather day to visit, I thoroughly enjoyed my visit to Armagh in November. 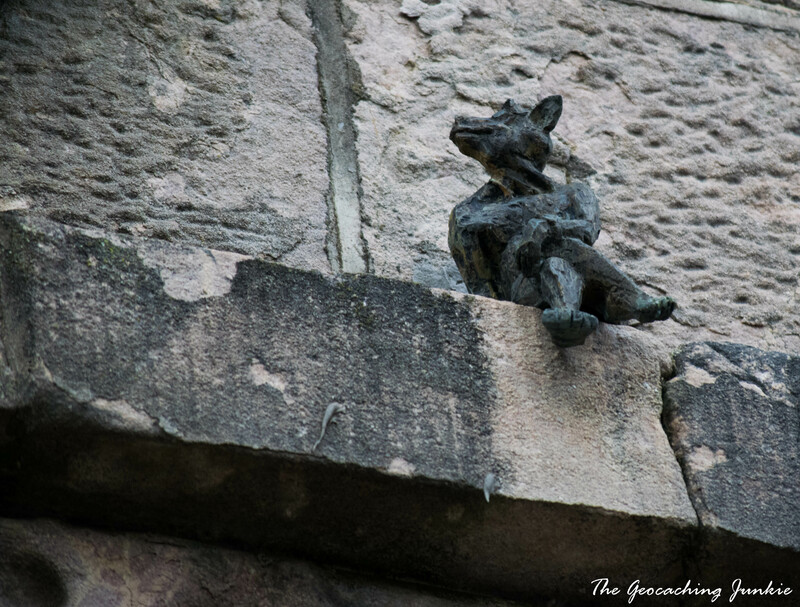 For such a small city, it has so much to offer visitors, not least of all an abundance of geocaches and some of the friendliest locals I’ve come across in Ireland. The city is steeped in history and the Georgian influence on facades, doorways and the mall are a joy to take in as you walk around. The Georgian Day celebrations are well worth seeing and are getting bigger every year. There are free shuttle buses from locations outside the city centre to bring you in so you don’t have to worry about parking. As you’re driving around Ireland, you’ll spot brown coloured traffic signs – these contain tourist information. 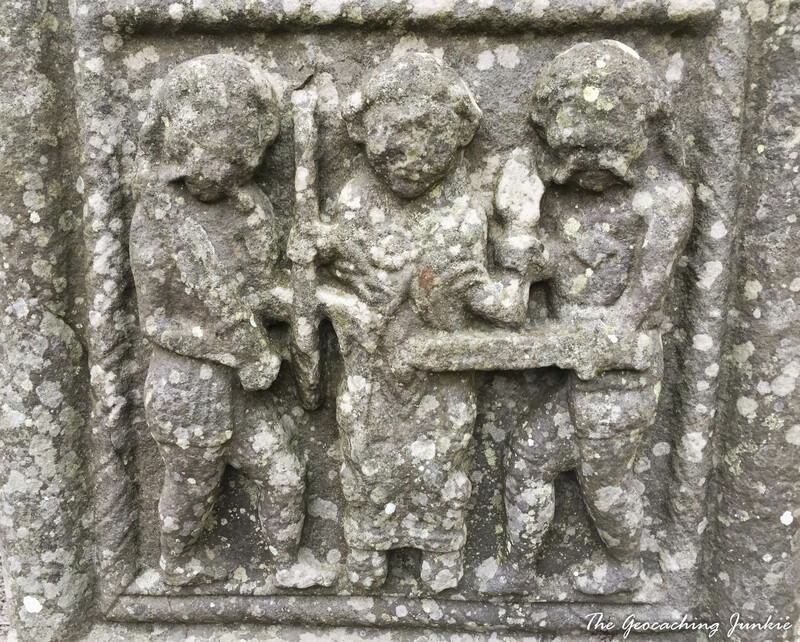 I’ve driven past a few and thought, “I should stop there, if it deserves a sign, it’s probably worth seeing.” As I drive between Dublin and Belfast almost every week, I pass one such sign for Monasterboice and always thought to stop. One day, I wasn’t in a hurry, so I made the detour and I am so glad I did. 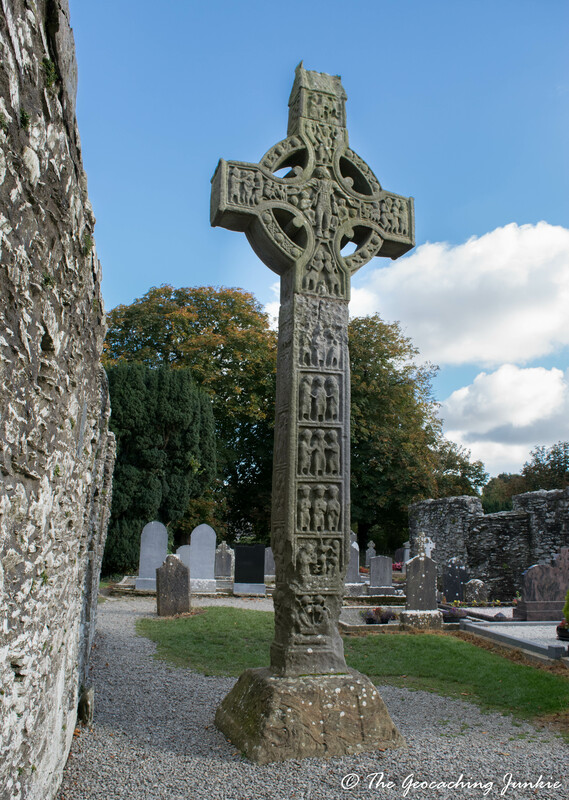 Monasterboice is home to some of the most impressive medieval high crosses in Ireland and amazingly, the originals are still standing exactly where they were first erected and in surprisingly good condition despite hundreds of years being exposed to Irish weather. 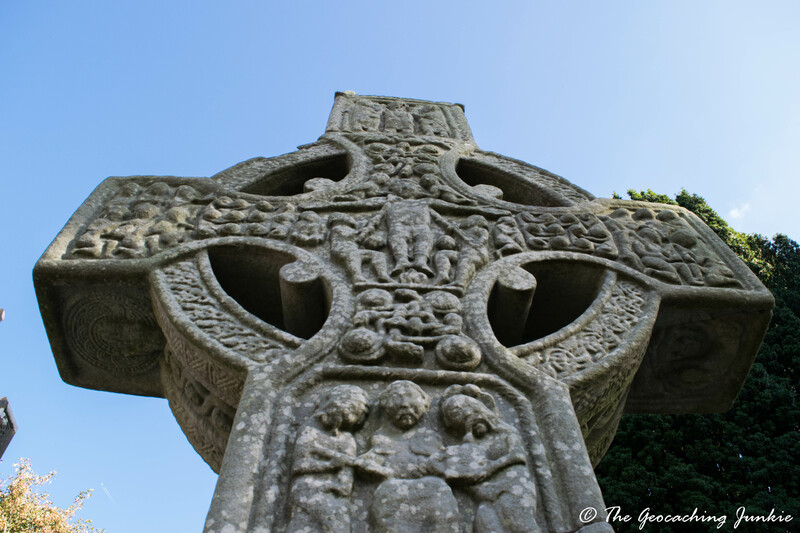 Despite its importance as an historical Christian site, my two visits to Monasterboice have been very tranquil, with only a handful of other visitors milling around the crosses and roundtower. It is well worth a small detour if you’re driving along the M1. 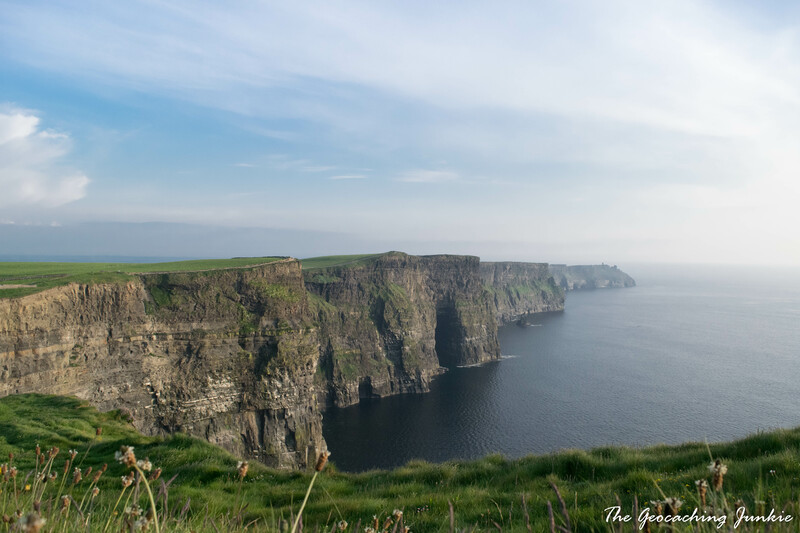 The famous cliffs remain one of the most popular tourist attractions in Ireland and I was delighted to finally tick them off my bucket list this year. Since we were visiting in June and had daylight until after 10pm, we waited until after 7pm to visit the cliffs for free. 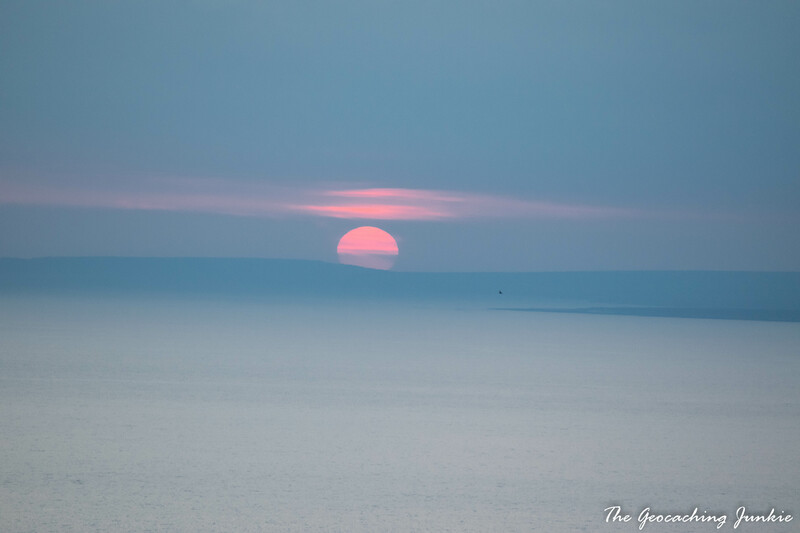 We had almost three hours of light to explore the area and watched the sunset over the Atlantic horizon. It was magic. 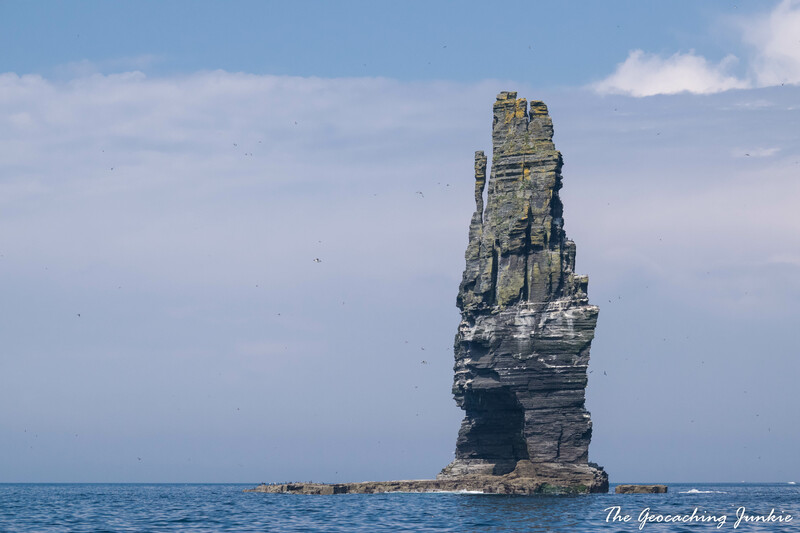 We also got a view of the cliffs from the sea on our return trip from Inis Oírr – I highly recommend a boat trip to see the cliffs from this angle. You can really appreciate their collosal size and beauty from the sea. I have a few ideas on where to visit next year but I want your suggestions: where should I go and why? 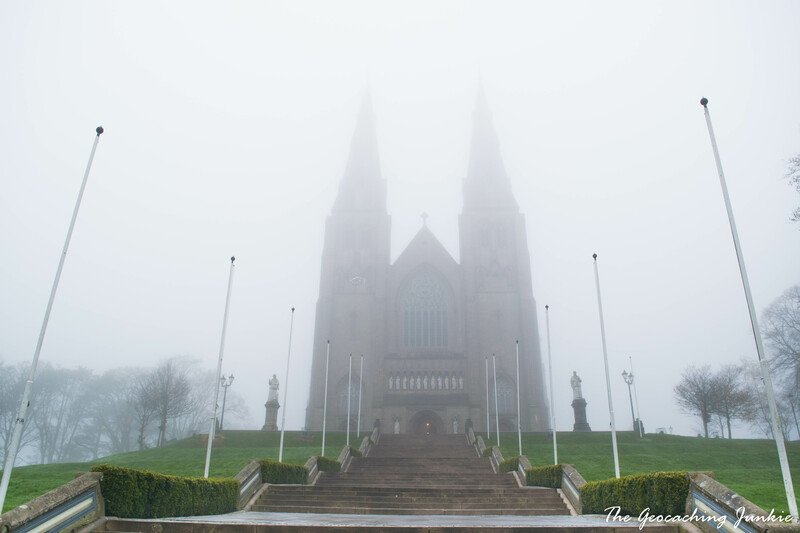 What are your favourite places in Ireland? Cliffs of Moher is one of my places to visit as well. I really have to see more of Ireland. 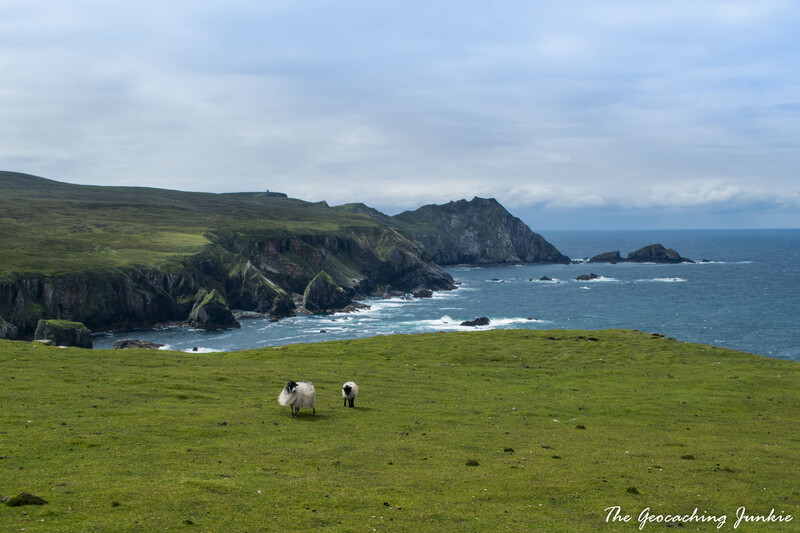 we moved to Ireland last month and I really cannot wait to explore more – this post is definitely getting bookmarked, so we can tick off these incredible places too! Welcome to Ireland! 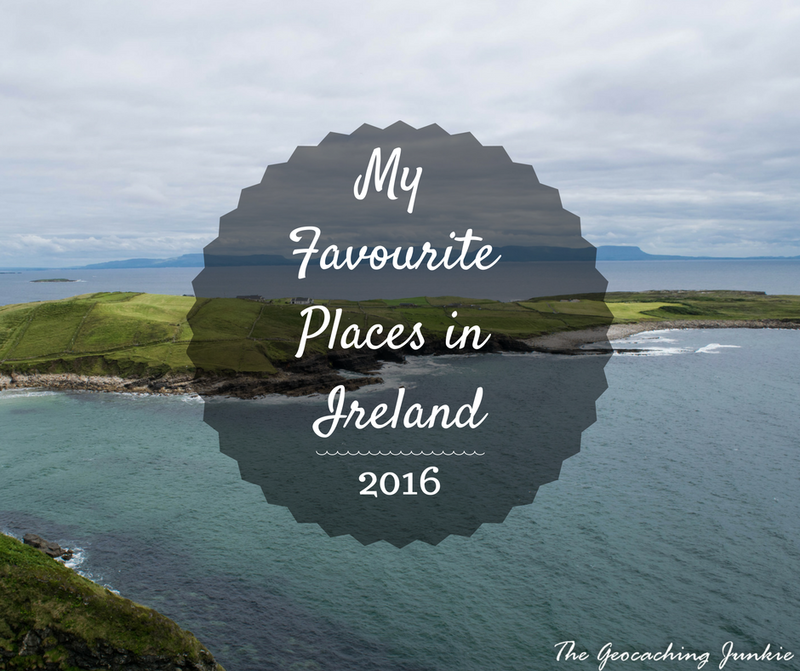 Make sure to check out my ‘best places in Ireland’ post from 2015 also, to pad out that list!